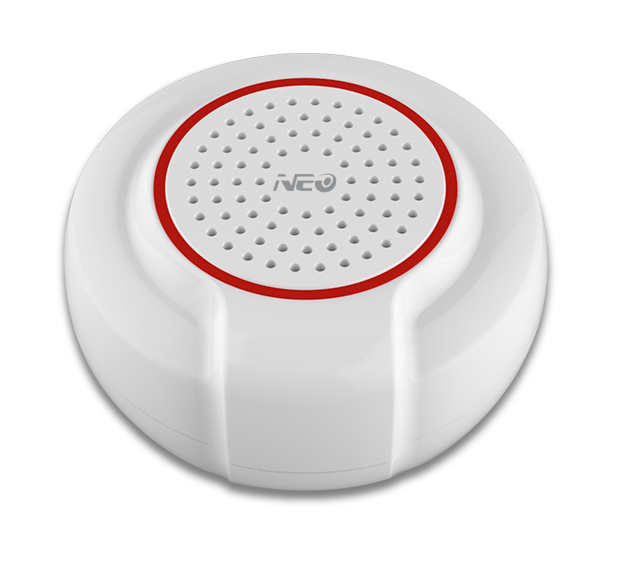 Besides using the Siren for alarm purposes you can also use the Siren as a doorbell. The NEO Coolcam Siren plays 10 different sounds, which can be set via parameter settings or the Indicator Command class. Furthermore you can adjust the volume of the bell sound and the alarm sound in 3 stages. 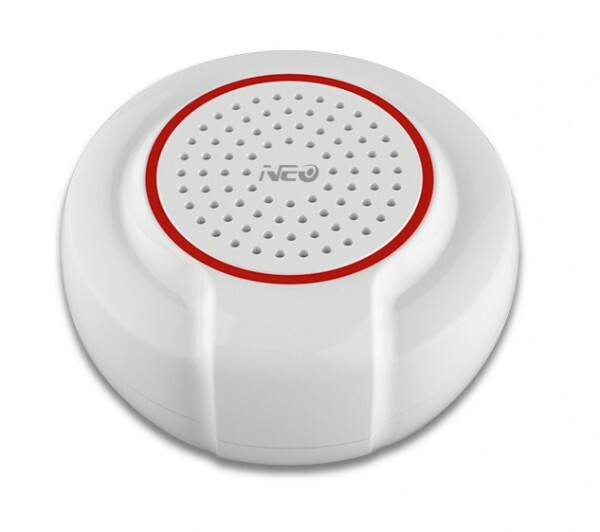 All in all this device works specifically good for any type of accoustical and optical notification in your Smart Home. The battery operated siren with the high quality design harmonizes with every living area and can be placed wherever you want. Related links to "Neo Coolcam - Siren"